Should Bad Drivers Be Shamed Publicly? Vancouver – Deliberately bad drivers seem to be appearing more and more often on our highways. 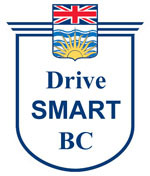 If e-mail to the DriveSmartBC web site is any indication, other drivers are no longer shrugging it off and report offenders in the hope that they will be held accountable. Some, including myself, have taken to posting photos or video of selfish, inconsiderate or dangerous drivers in that hope that public shaming might improve that driver’s behaviour. Visit your favourite search engine and enter bad drivers of Vancouver or bad parkers of Kelowna and you will find all sorts of examples of driving or parking that make you wonder why these people still hold valid BC driver’s licences. Probably some of them do not. Do any of these bad drivers ever see themselves on the internet? I’ve only had one instance where a woman named as the driver responsible for a collision in case law that I posted ask to have her name removed from DriveSmartBC. As it was a published BC Supreme Court judgment I explained and refused. Nothing further was said. Shame is a very powerful emotion that can drive personal change. It is also a useful tool to encourage others to conform to societal norms. Is it morally justifiable? If you have no other means to counter people choosing to put your life and health at risk, perhaps it is. Be the first to comment on "Should Bad Drivers Be Shamed Publicly?"